It was so hard not to title this masterpiece a ‘kale-sserole’. 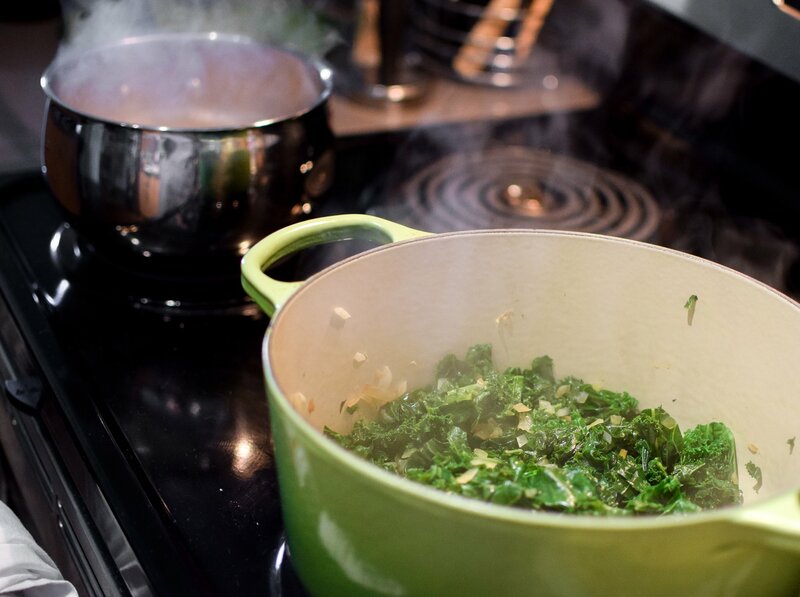 While that is obviously the best name for a casserole containing an entire bunch of kale, I’ve been learning a lot more about Search Engine Optimization (SEO) lately. People are NOT typing ‘kale-sserole’ into Google (unless you’re me, and Google is sure I meant ‘kale casserole’). 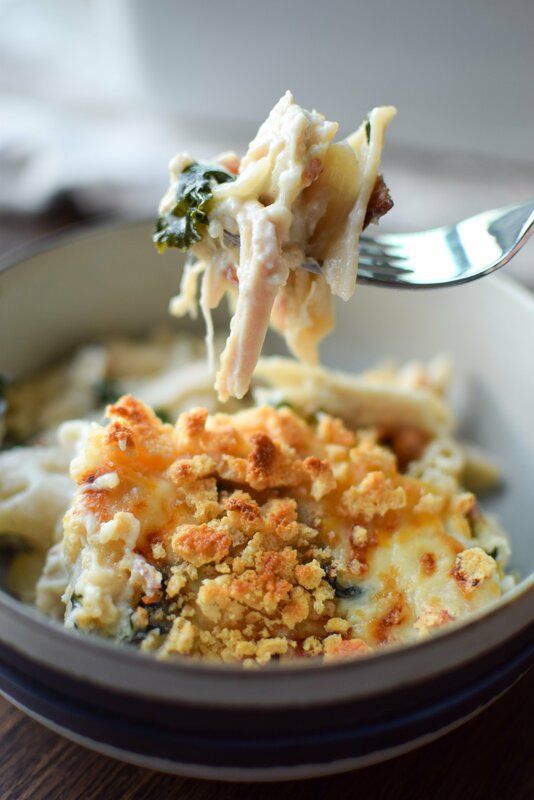 So, I have grudgingly titled this one Cheesy Chicken Bacon Ranch Kale Casserole. 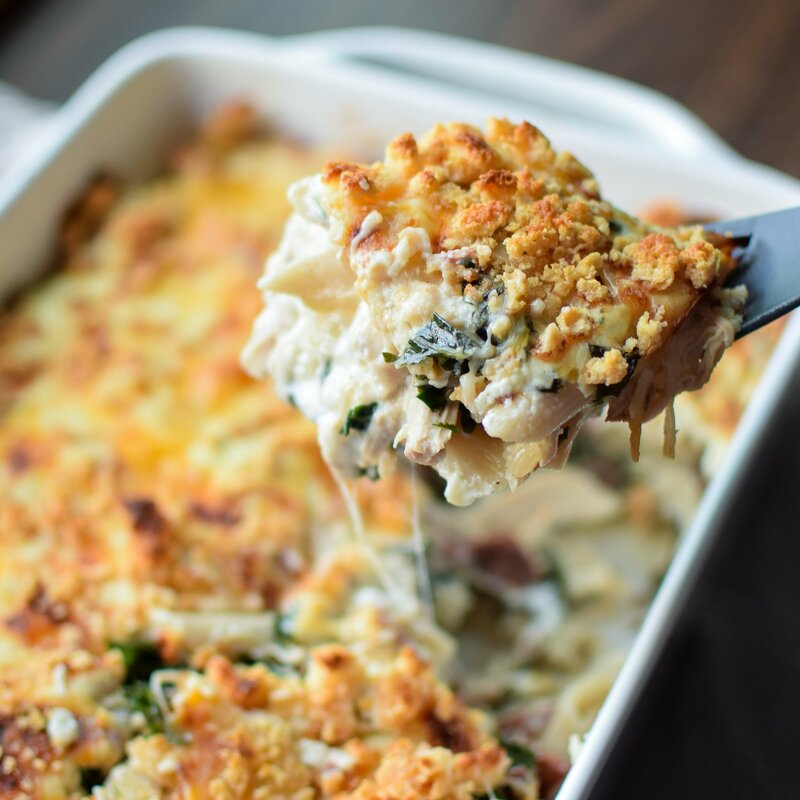 During said SEO research for this recipe, I also discovered people are clamoring over anything related to Chicken Bacon Ranch (just try typing ‘chicken bacon casserole’ and avoiding Ranch… you can’t). In my opinion, the Ranch seasoning, while a definite highlight of the recipe, takes a huge backseat to the kale. I’m so thrilled/happy/excited/dancing over the fact that I put a boot load of kale in this dish, and I’m not bothered one bit. In fact, I LOVE this thing. 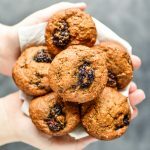 We’ve had it a lot lately (yay recipe testing!) and I’m not even sick of it. In case you needed to hear about some more casserole magic, here it is. I know cooked brown rice pasta gets all dry and sticky after being stored for like half a day. Even when doused in olive oil (camping trip fail turned into cheesy goodness – story for another time). 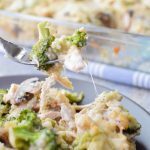 But when it’s in a casserole, no dryness what-so-ever. Especially this casserole. I’m obsessed. Can’t stop won’t stop. Assembly for this one is pretty easy. 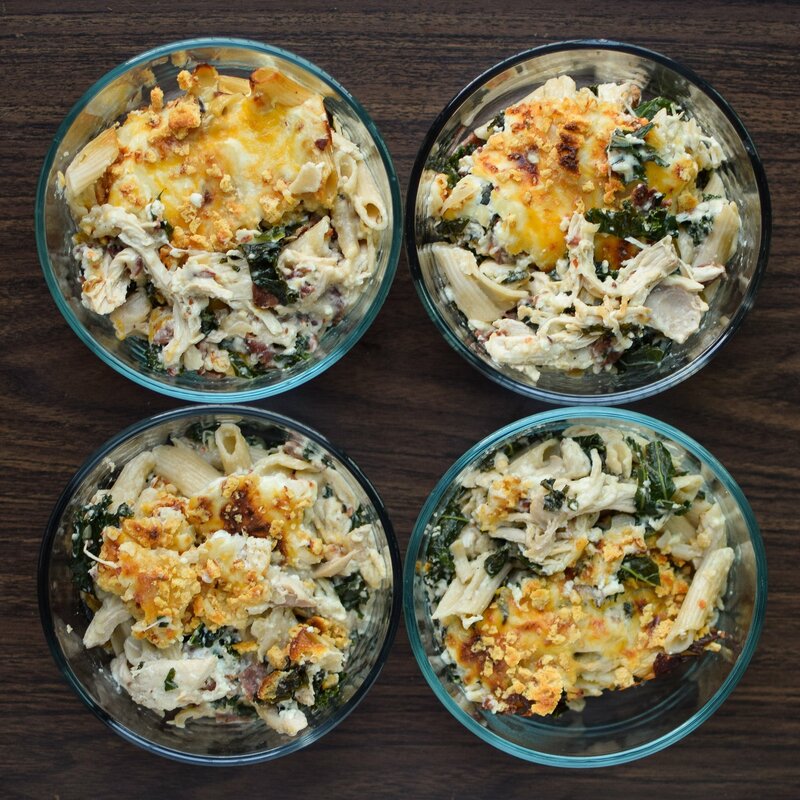 After all the components are cooked, you’ll end up with two basic layers – the kale onion sauté mixed with noodles, chicken and bacon; and the ‘custard’ as I call it in the recipe, with the greek yogurt, milk and cheeses. Simply make layers with half of each mixture at a time, for four layers. Then add your remaining cheese and parmesan crisps for topping (I will never be without Whisps Parm Crisps again – P.S. 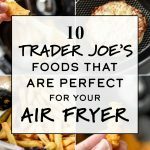 find them at Costco to save $$$). Finally, bake and enjoy. Yes, enjoy kale. I know. Just trust me. And check out the layers below. 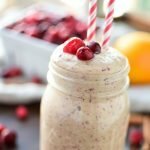 This is coming with a total of 33 calories, 6 grams of carbs (2 of which are fiber) and 3 grams of protein. Kale contains very little fat, but a large portion of the fat in it is the omega-3 fatty acid called alpha linolenic acid. Given the incredibly low calorie content, kale is among the most nutrient dense foods in existence. 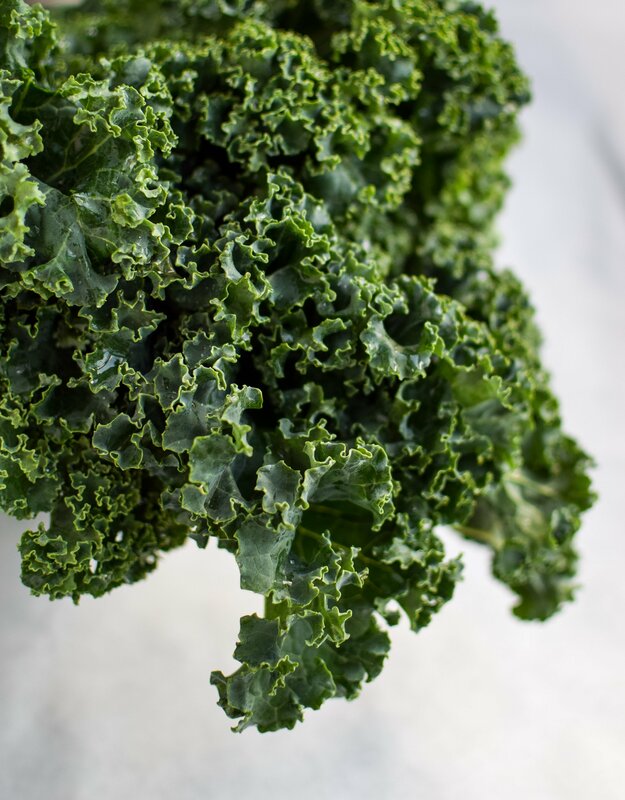 Eating more kale is a great way to dramatically increase the total nutrient content of your diet. Sounds good to me Kris! As long as my kale is smothered in meats and cheeses, we’re cool. I could eat this for days. 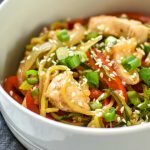 If you’re interested on more information about kale, you can check out 15 Health Benefits of Kale – And 8 Delicious Kale Recipes from Jen at JenReviews.com. Thank you so much for checking out the Cheesy Chicken Bacon Ranch Kale Casserole! 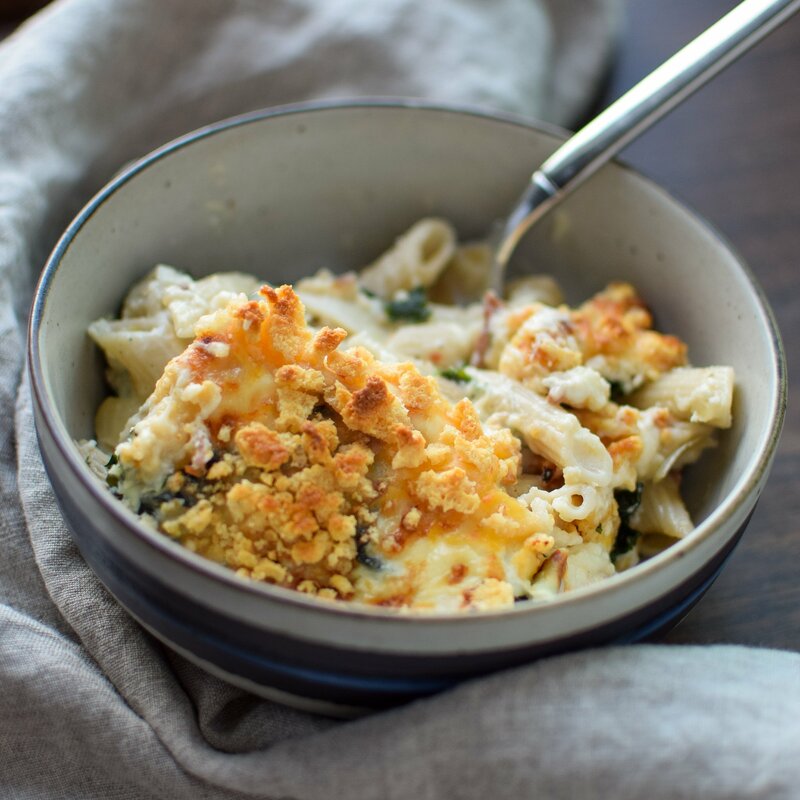 Tag @projectmealplan on social media if you make this yummy recipe, or any other kale creation! Throw me a comment if you have any super amazing ways to disguise your kale. I just wish I loved kale a little more (or at all😕). 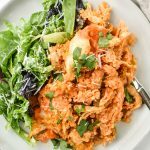 Don’t forget to follow me on Pinterest for meal inspiration every single day! 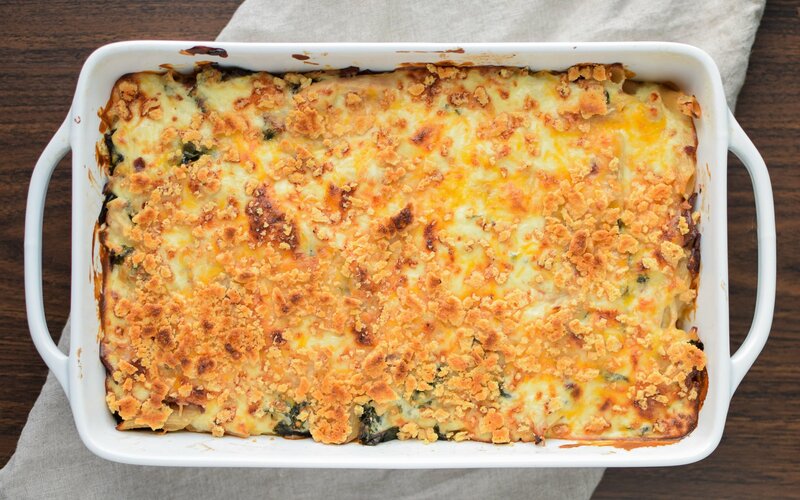 Inspired by Healthy Squash and Kale Casserole from Food Network.